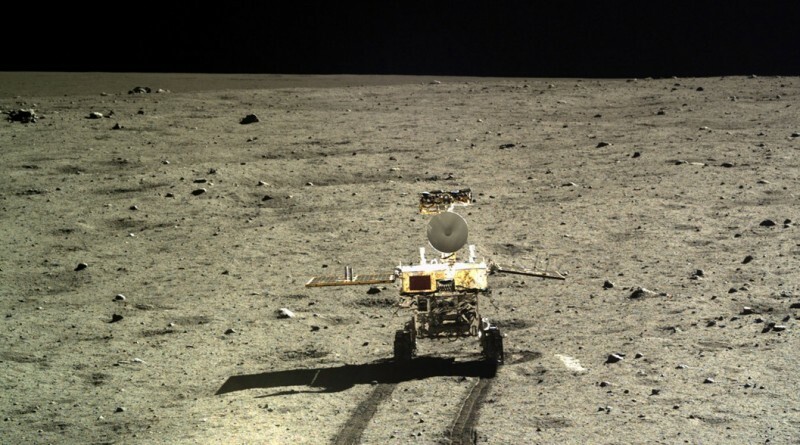 China’s Yutu Moon rover is still alive after nearly 15 months on the lunar surface, continuing to surprise as the small craft has prevailed through conditions it was never designed to survive. Being released from the Chang’e 3 lander in December 2013, the small rover was expected to operate for three months, however, a fault within its motor control system rendered the vehicle stationary at the end of the mission’s second lunar day – no longer able to drive or actuate any of its moving parts such as its solar panels that were normally used to protect the rover’s body during the two-week long lunar nights to maintain thermal limits. 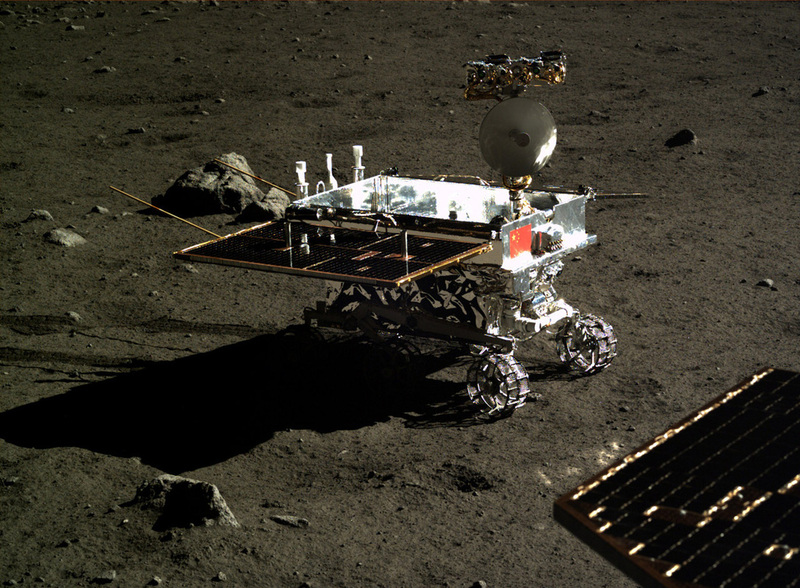 Yutu was never planned to spend a night without the shielding provided by one of its solar panels and teams expected that the rover would not wake up from the mission’s second lunar night during which temperatures dipped as low as –180 degrees Celsius. But the small craft managed to remain alive and began sending signals back to Earth after the sun had climbed above the horizon at the landing site inside Mare Imbrium. 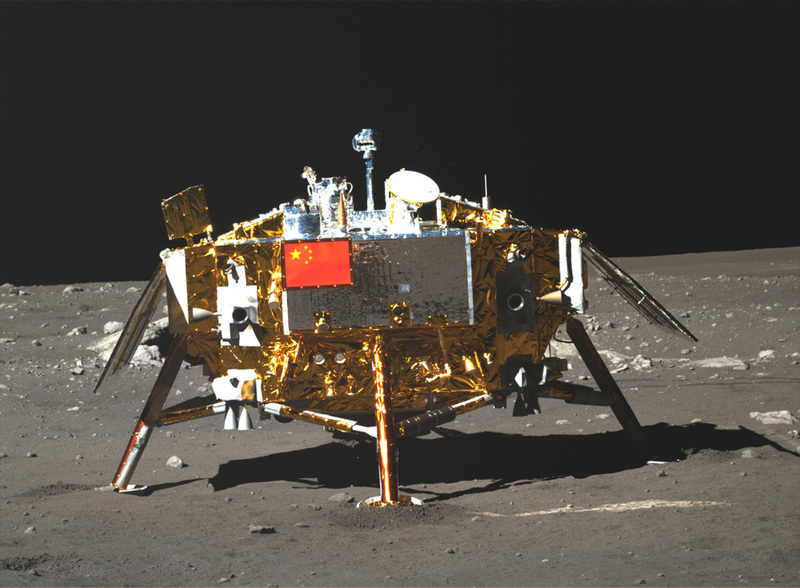 After troubleshooting efforts, it became clear that Yutu would be permanently disabled with no hope of recovering its ability to drive. 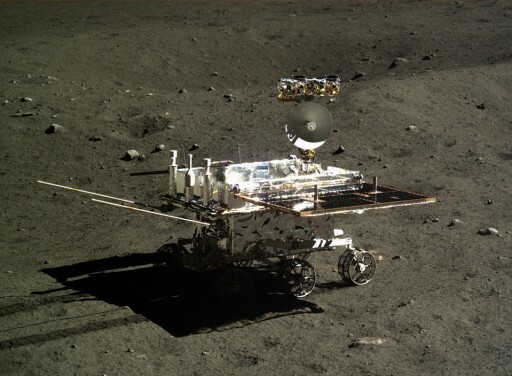 Aside from the failed control circuit, Yutu was reportedly able to operate its instruments with the exception of the Alpha Particle X-Ray Spectrometer. How the instruments fared in the second half of 2014 is unknown, but the core systems of Yutu – its main computer and communications system – kept operating well past the expected duration of three months. 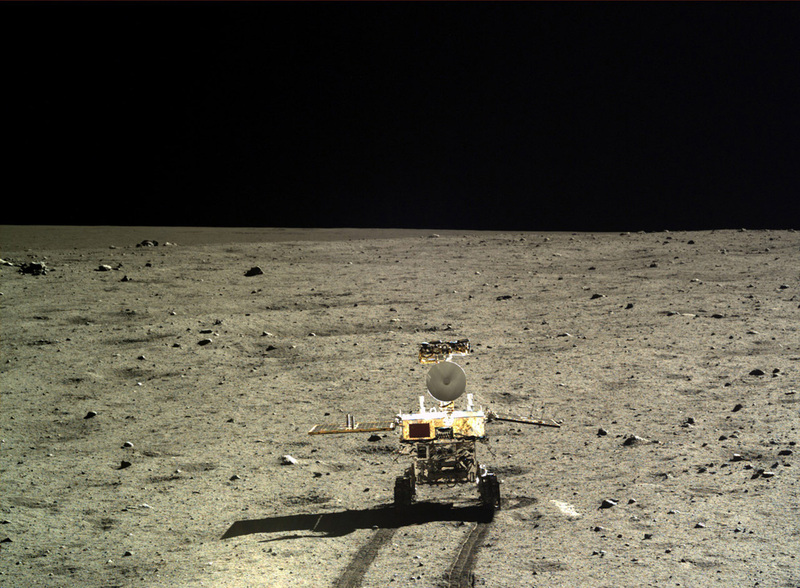 Signals from Yutu could be received by radio operators on Earth almost every lunar day as the Chinese mission team kept operating the rover to learn valuable lessons for future robotic missions to the Moon and other targets. 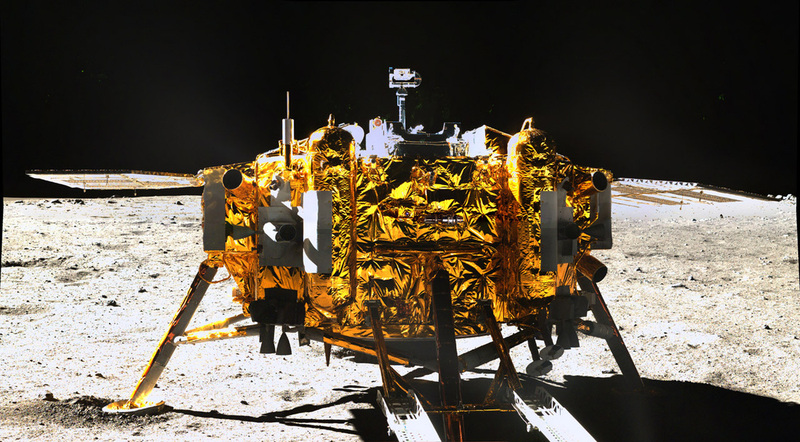 Without any intent to abandon the rover, Chinese mission teams were able to celebrate the rover’s one year anniversary in December and headed into its second year of operations on the lunar surface. 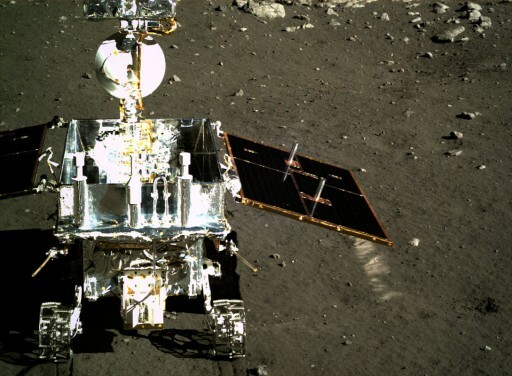 According to official Chinese media reports, Yutu remains in an operational state which is confirmed by the UHF_Satcom group through the reception of signals from the small rover on March 3 & 4. Whether any of the instruments are still functioning is unknown. 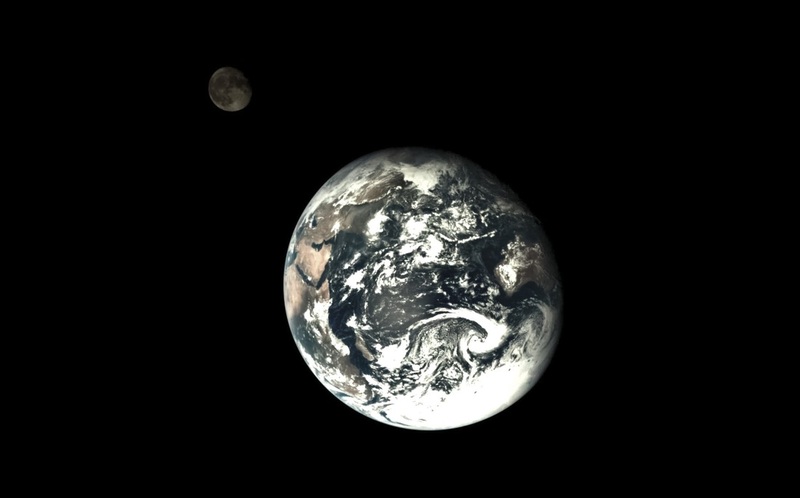 No update on the status of the Chang’e 3 lander has been issued over recent weeks, but as of mid-January both instruments of the vehicle were still gathering scientific data, observing the sky in ultraviolet wavelengths and watching over Earth’s plasmasphere in the extreme UV wavelength. A paper recently published by the Chang’e 3 mission details how the Lunar-Based Ultraviolet Telescope was used to determine the concentration of OH radicals in the tenuous lunar exosphere and the lunar surface as well as the concentration of neutral magnesium and aluminum through analysis of the diffuse background of 498 LUT images. It is noted that the upper limit for the exospheric OH radical concentration as determined by LUT is considerably lower than values previously calculated from data provided by the Indian Chandrayaan-1 orbiter and Hubble Space Telescope low resolution spectroscopy. These low upper limits of the exospheric OH radical column density favor the sputtering theory of OH radical and water molecule release into the exosphere. According to this model, OH and water molecules are chemically adsorbed in silicate rock particles, but can be released through sputtering by the high-energy protons of the solar wind, leading to an increase of OH/water content in the exosphere on the dayside which is supported by previous measurements. For all previous Chang’e 3 Updates, please visit the Spaceflight101 Archive Website.